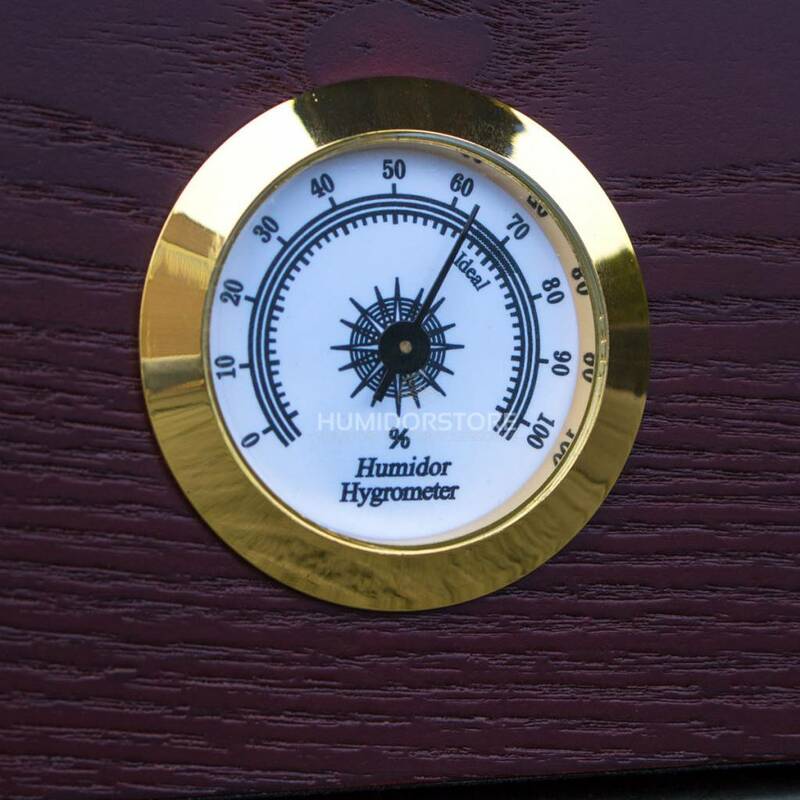 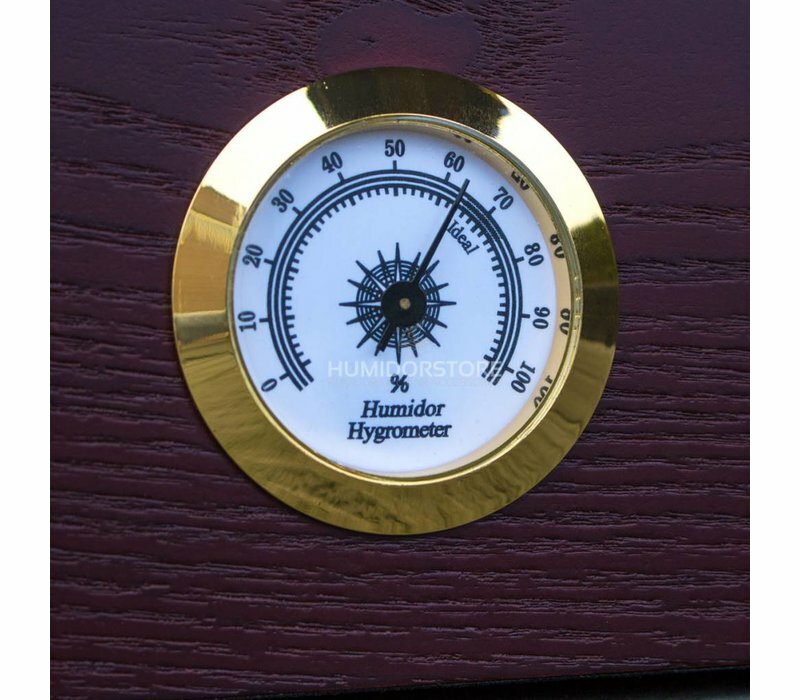 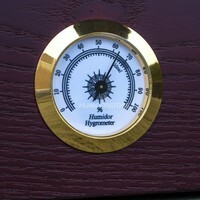 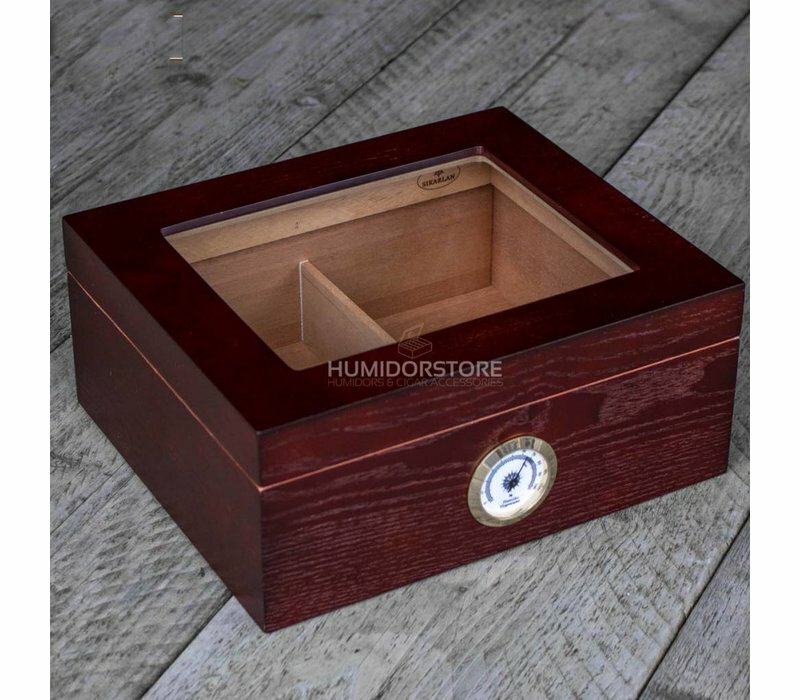 The Humidor Kensington is a handcrafted brown humidor with golden details and a window, it also includes a hygrometer on the outside. The interior of the humidor is made of Spanish cedar wood. 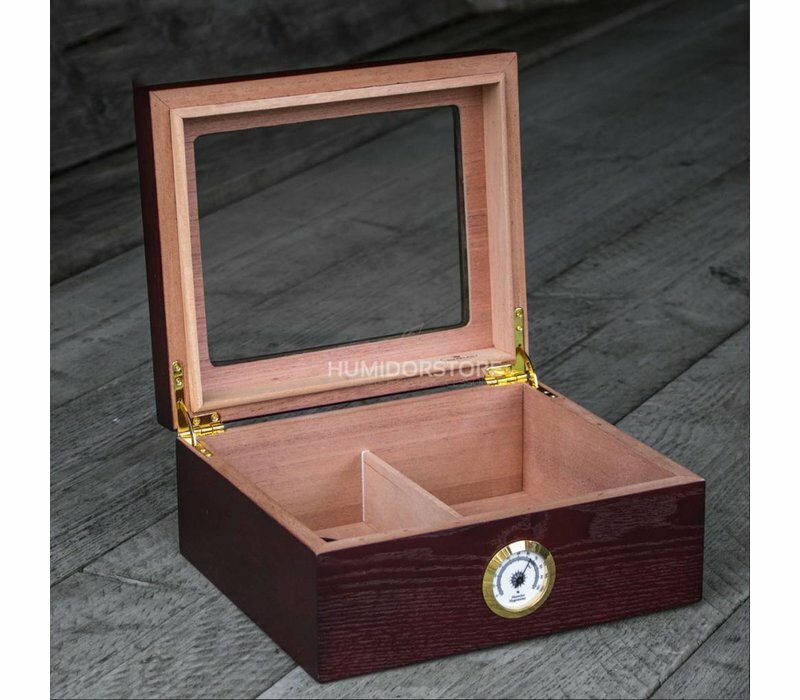 The Humidor Kensington is a handcrafted brown humidor with golden details with a glass window. 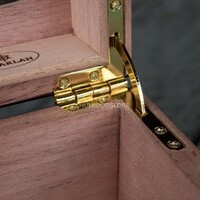 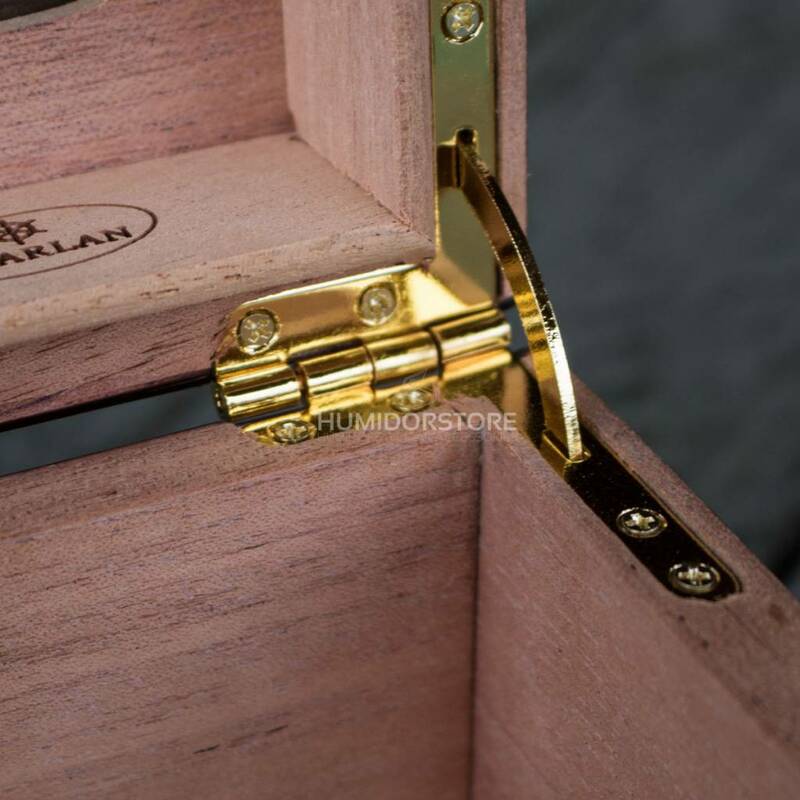 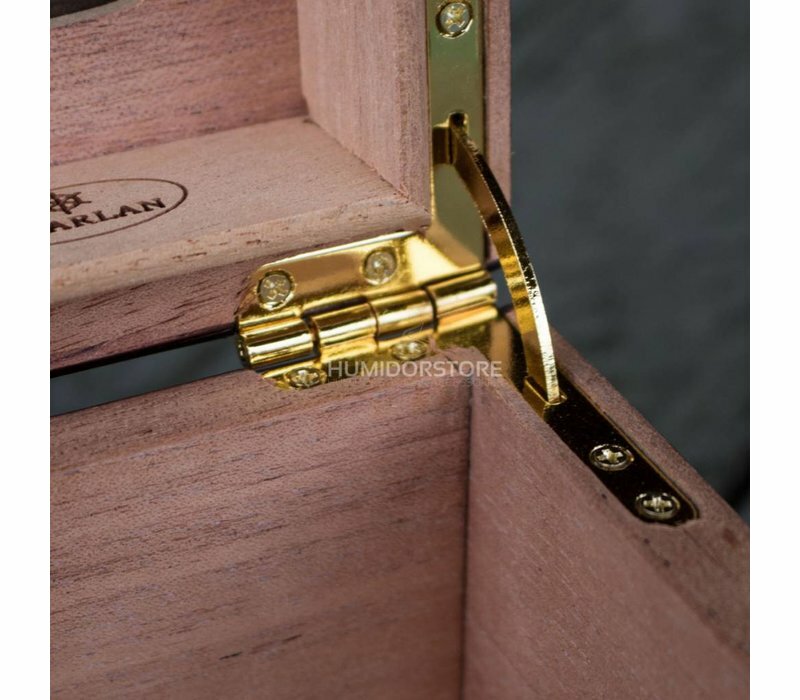 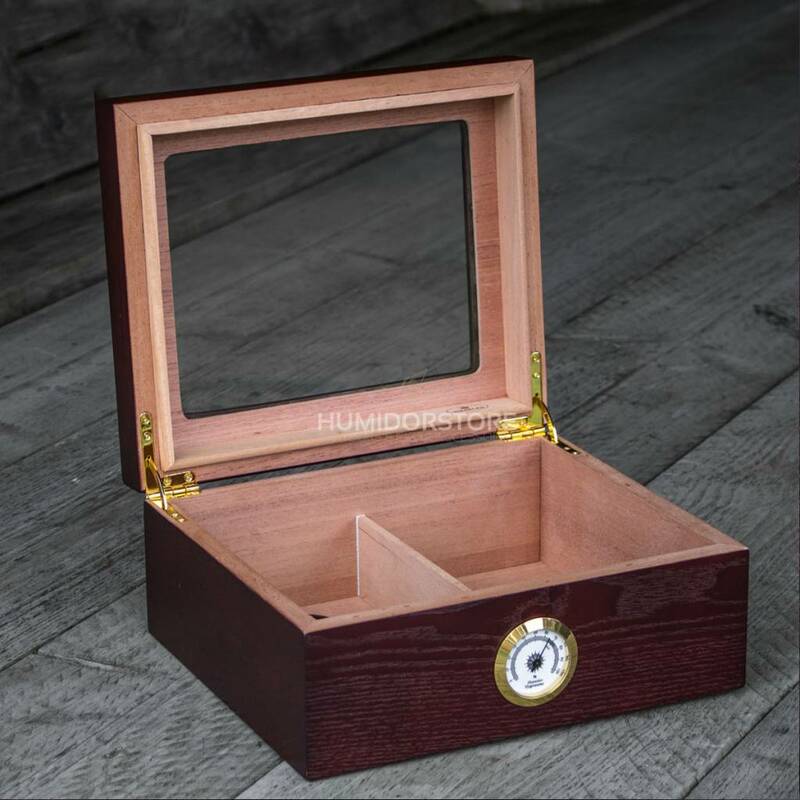 The interior of the humidor is made of Spanish cedar wood and the humidor is perfectly balanced because of the faded hinges which will keep your cigars in perfect condition. 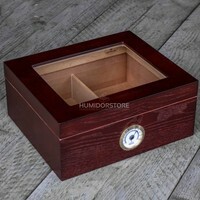 There is a hygrometer and humidifier included and there is space for around 75 cigars.